Airhead's Puffle Digging Expedition on Club Penguin Party Review! Hey everyone! As you may know I had a Puffle Digging Expedition party recently! To start off, I just want to say THANK YOU TO EVERYONE WHO CAME! Also, thanks to the special guest which is @CpDodgers4. I think about 50+ penguins joined in to look for items!! Well first we all started at my igloo and I couldn't even find my golden puffle because there was so much gold in the room! It was crazy! 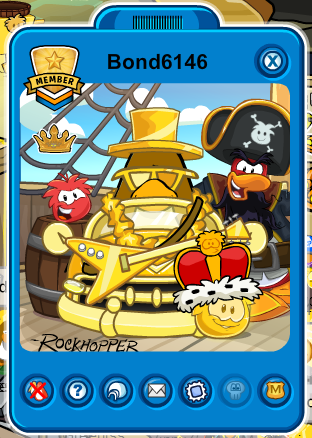 It took me at least 5 minutes to try and find my gold puffle no joke! Take a look at this picture and you'll see what I mean! 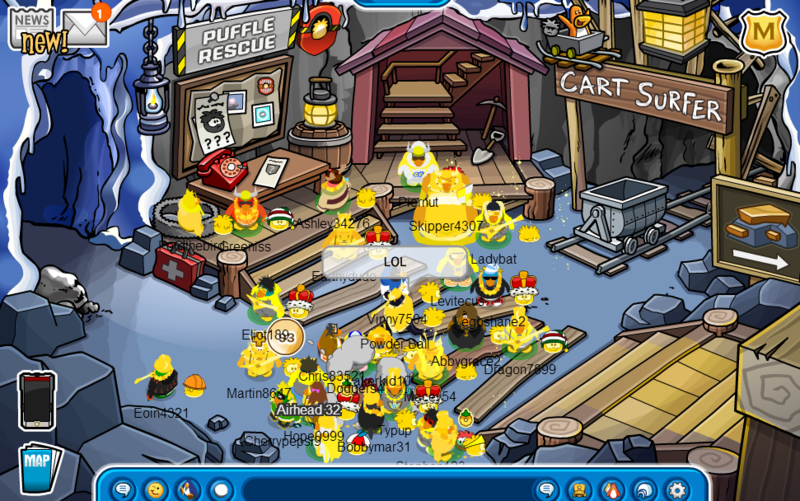 So now that we all met up at my igloo I wanted to get the party started! We all headed torwards the beach first! It was super crazy and there was so much gold! I couldn't believe my eyes at how much gold there was! We walked around differen't rooms. Since there were just SOOOO many penguins I had to take some time to add penguins and also to send them post cards. 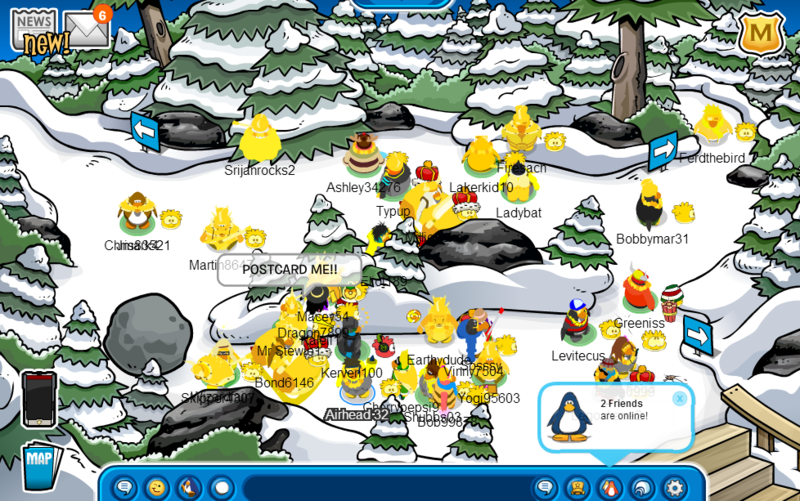 It was a bit hard since there were just so many penguins asking me to add them or send them post cards and also there was a ton of lag due to so many penguins. It was still a blast though...probably one of my favorite times on Club Penguin. Here we are at the forest just trying to find items. I added a lot of people in this room. Here we're inside the puffle mineshack just partying and finding golden items! We stayed in this room the longest! It was fun! On twitter, I promised that I would choose the penguins wearing the most gold, take a picture of them and put them on my blog. It was really hard to only choose TWO penguins since so many of you had gold on your penguins but anyways here are the two penguins that I chose. Congratulations to Bond6146 and Yogi95603! In the end the party was a HUGE success and I can't wait to meet you all again soon! Again, I just want to THANK YOU ALL so much for being there, supporting me and just being my friend. I love you all like family. I'm going to remember this day forever and I hope you will too!